I love having people over to grill out, play cards or just sit around the fire pit. With that I also love playing hostess with the mostest! Fun pretty cocktails are one of my favorites lately and this one is perfection. Pretty and amazing drinks are not hard yall at all I was so intimidated at first but I totally rock at it and it’s fun !! 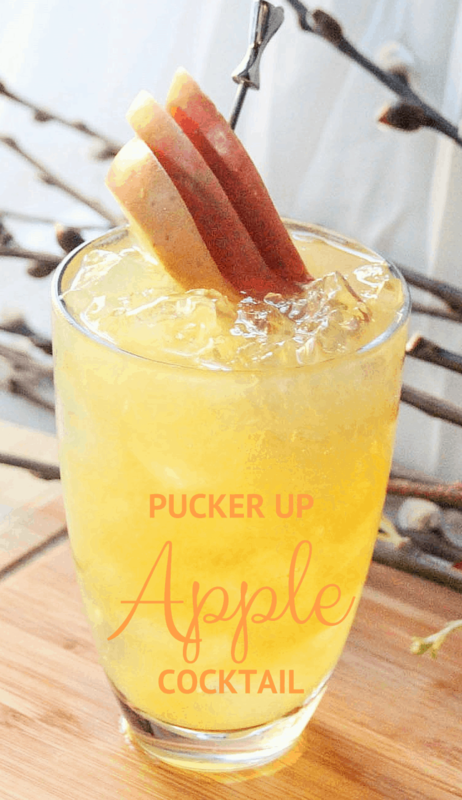 In a cocktail shaker add Dekuyper Sour Apple Pucker, Smirnoff Sour Green Apple Vodka, Ole Smokey Apple Pie Moonshine, R.W. Knudsen Ginger Apple Juice and four ice cubes. Secure the lid on the cocktail shaker and shake from here to eternity (that’s 30 seconds in layman’s terms don’t ya’ know). 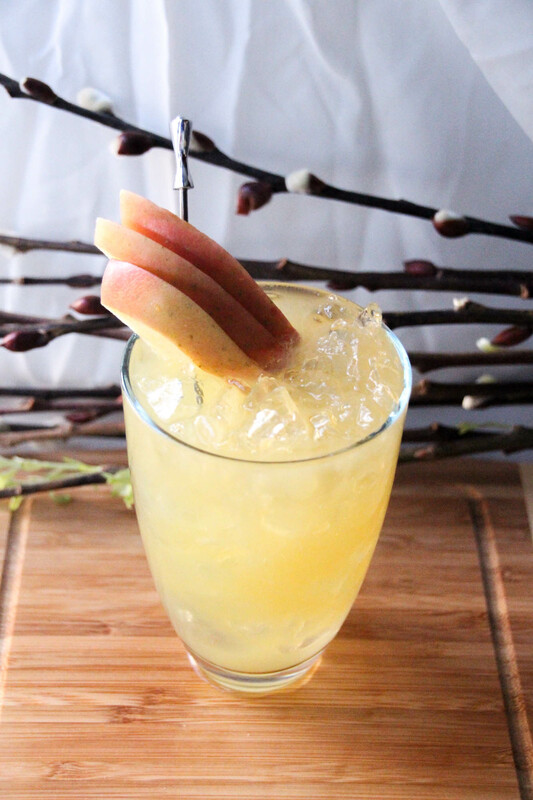 Garnish with slices of your favorite apple. I used slices of Pink Lady. This was so EASY & FUN to make and the three simple apple slices make it feel all special and unique! Hope you love it! Thanks so much for coming by means way more than you know. I need one of these in my life. I can't wait to try this. That looks really good. I think this is a drink that my husband and I will enjoy during our date nights. Always looking for a good cocktail. We have a firepit in our backyard, and we use it all year round. Love this addition to our backyard! Sounds like a drink for a summer day. I love the apple slices! this looks like a fun night, lol! Fun cocktail recipe, thanks for sharing! Interesting mixture look refreshing. 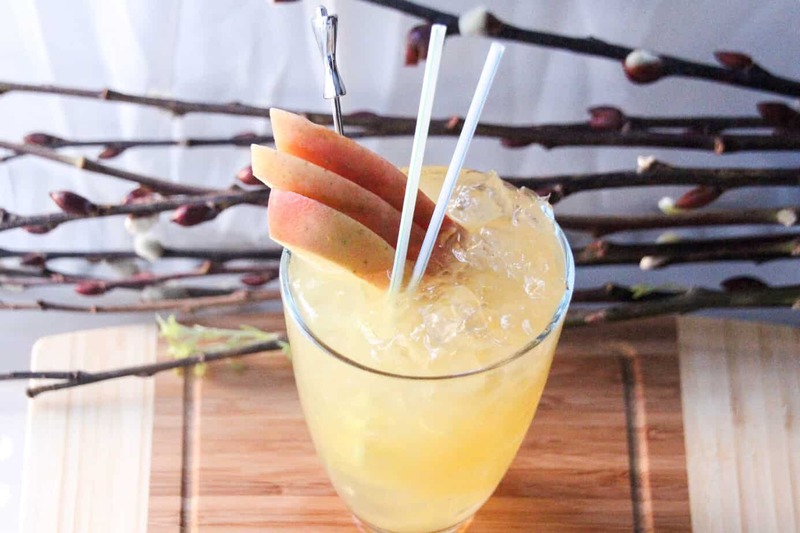 The recipe is easy to substitute with something else for nonalcoholic beverage drinkers. I love that you used the sour apple flavor, that makes things a tad more interesting. I don't really drink cocktails but this sounds refreshing. The recipe is easy to follow as well. Thanks for sharing! I think drinks are so fun when they have a fruity taste. I don't drink but if I did, I would love these fruity drinks. Looks delicious! 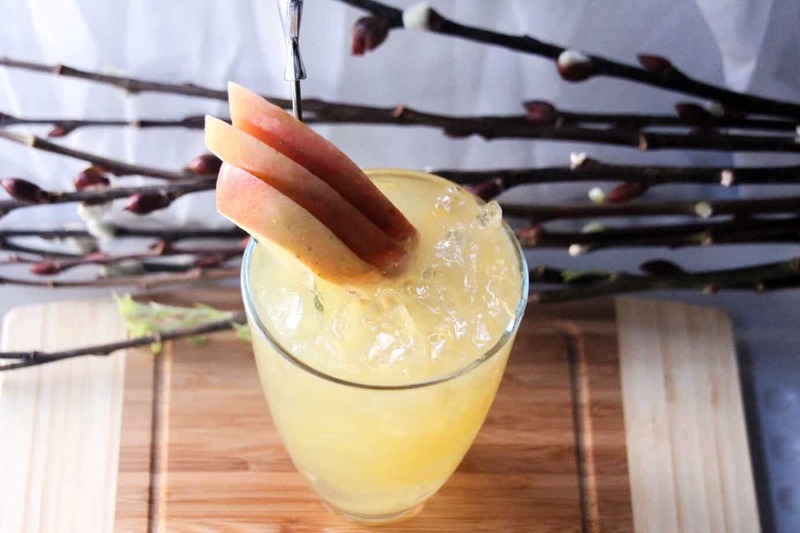 I love these types of drinks, perfect for the spring and summer grilling season! I would definitely enjoy this cocktail! Will try to serve it to my guest next time I'm hosting an event. Looks so refreshing! It's so perfect for Summer. I need to make this, thanks! This seems to be a lovely drink. A refreshing cocktail for a nice warm day. Easy to make. Looks good. Definitely want to try soon. I shared it. You share happiness this good! This sounds so refreshing for a hot spring or summer day. 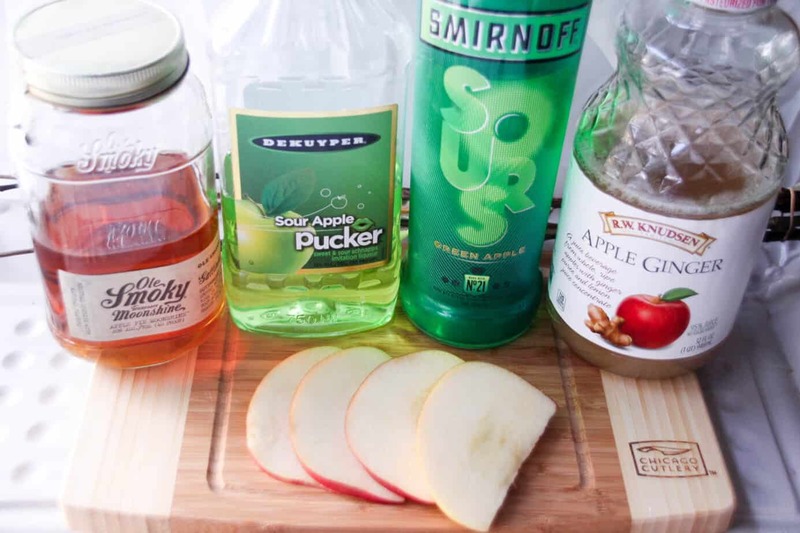 I've never tried Sour Green Apple Vodka but I'll have to pick some up. Oh this just looks so good. I'm all for cocktails and haven't had one in forever. Maybe I need to make this, I'm so in need of one right now. 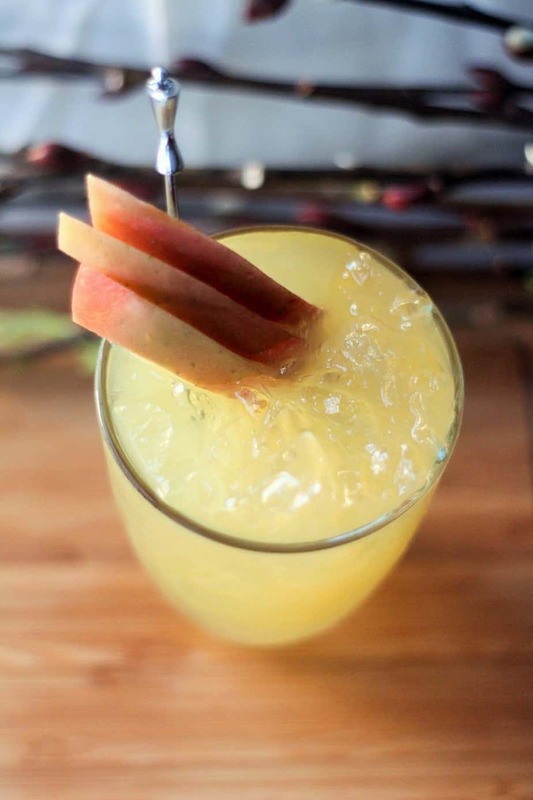 Looks like a perfect drink to hang out with friends and enjoy summer. I love to entertain but it can be exhausting to clean the house, set up the scene, cook perfect food AND serve fantastic drinks too! I'm always looking for ideas and inspiration and this looks fabulous! my favorite part of summer is having friends over for fun bbqs and this cocktail is perfect for a crowd! This looks really refreshing. I would love to have something like this in this kind of weather. This looks so good! I love trying different drinks, so I'm going to try it this this weekend! I never thought I'd miss drinking, since I wasn't much of a drinker in the first place, but now that I'm pregnant I've been totally missing it! This looks delicious. Yummm! I'll have to try this out. Omg how yummy is this cocktail?!?! I'm definitely making this some time in the very near future! We really love grilling during the summertime as well. It's the perfect time to spend some time outdoors and to even enjoy an adult beverage like this one from time to time. I'm not able to drink alcohol because of medical reasons. This looks great though, I love apple. Apple is my all-time favorite,did not know you can add this to a cocktail. I bet that makes it more delicious! This looks really good. I enjoy making cocktails and taking photos of them. Great pics and I added this to my "must try list".